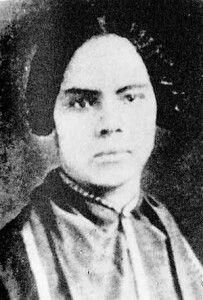 Marc shares some of what happened on this day in history, including the birthday of Mary Ann Shadd, publisher of Canada’s first antislavery newspaper, The Provincial Freeman, and the first woman in North American to publish and edit a newspaper. 1823 – Mary Ann Shadd, publisher of Canada’s first antislavery newspaper, The Provincial Freeman and the first woman in North American to publish and edit a newspaper, born. 1806 – Benjamin Banneker (November 9, 1731 – October 9, 1806) was a free African American scientist, surveyor, almanac author and farmer. 1604 – Supernova 1604, the most recent supernova to be observed in the Milky Way. 1635 – Founder of Rhode Island Roger Williams is banished from the Massachusetts Bay Colony as a religious dissident after he speaks out against punishments for religious offenses and giving away Native American land. 1740 – Dutch colonists and various slave groups begin massacring ethnic Chinese in Batavia, eventually killing 10,000 and leading to a two-year-long war throughout Java. 1760 – Seven Years’ War: Russian forces occupy Berlin. 1806 – Prussia declares war on France. 1824 – Slavery is abolished in Costa Rica. 1831 – Ioannis Kapodistrias, the first head of state of independent Greece is assassinated. 1919 – Black Sox scandal: The Cincinnati Reds win the World Series. 1934 – Regicide at Marseille: The assassination of King Alexander I of Yugoslavia and Louis Barthou, Foreign Minister of France. 1936 – Generators at Boulder Dam (later renamed to Hoover Dam) begin to generate electricity from the Colorado River and transmit it 266 miles to Los Angeles, California. 1967 – A day after being captured, Marxist revolutionary Ernesto “Che” Guevara is executed for attempting to incite a revolution in Bolivia. 1969 – In Chicago, the United States National Guard is called in for crowd control as demonstrations continue in connection with the trial of the “Chicago Eight” that began on September 24. 1981 – Abolition of capital punishment in France. 1983 – Rangoon bombing: attempted assassination of South Korean President Chun Doo-hwan during an official visit to Rangoon, Burma. Chun survives but the blast kills 17 of his entourage, including four cabinet ministers, and injures 17 others. Four Burmese officials also die in the blast.